Nov. 11, 2010 - PRLog -- FORT WORTH, Texas – A panel of nutritionists has named Mrs. Renfro’s Habanero salsa among the “Best 125 Packaged Foods for Women” in Women’s Health’s 2010 October issue. Mrs. Renfro’s Mango Habanero was also mentioned. Both were in the Condiments category. In recent years, salsa has overtaken ketchup as a favored condiment by consumers. And while salsa comes in various heat levels, consumers’ love of hot and spicy foods has been steadily on the rise. 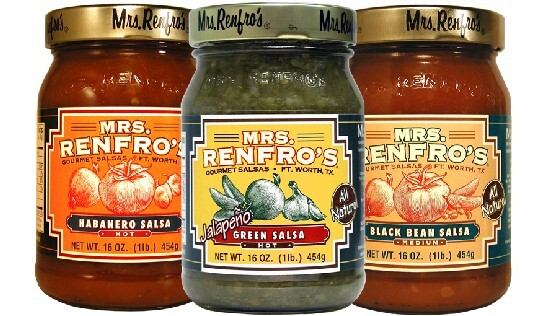 Renfro Foods’ two top selling salsas – Habanero and Green -- are also their hottest. This past summer the food manufacturer came out with its hottest salsa to date, Ghost Pepper, which is also a 2011 Scovie Award winner. Ghost Pepper is made with Bhut Jolokia, which has been certified by the Guinness Book of World Records as the world’s hottest pepper, “so there is definitely a demand for more heat,” he added. For more information, visit www.renfrofoods.com, Mrs. Renfro’s Gourmet Salsa on Facebook, and RenfroFoods on Twitter.